It seems like the Young Lord of New York has yet again outdid himself with the video release of Phoenix off of LONG.LOVE.A$AP just weeks after releasing the video to Angels. A$AP Rocky‘s no stranger to music videos that seem more like mini-cinematic masterpieces – after all, he appeared as JFK alongside Lana Del Rey in the video for National Anthem and helped Drake recover his kidnapped girlfriend in Hold On, We’re Going Home. All of Rocky’s video releases are carefully curated with stunning visuals that seem more like a photograph in motion, however Phoenix is a standout with its pulsating theme of love, revenge, betrayal and regret – or at least that’s how I interpreted it. The video is directed by Francesco Carrozzini and written by Asia Argento (daughter of Dario Argento). It stars Micheal K. Williams, best known for his role as Omar Little on the monumental crime drama The Wire and supermodel Joan Smalls. 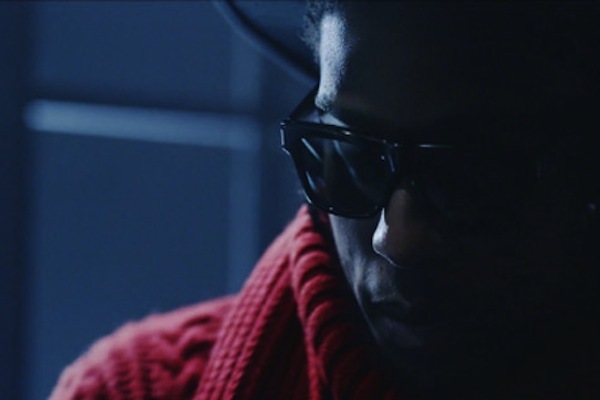 Rocky makes brief appearances decked out in a red chunky knit jumper and is a stark contrast to the white, black and navy colour palette which gives the video a film noir feel. The scenes are riddled with tension as Joan, dressed in an ethereal white gown quickly sheds her angelic image and becomes more of an angel of death. She is visibly frustrated with Michael’s stoic, unresponsive behaviour. She goes postal on their home destroying everything in sight before pointing a gun at her lover. Once the trigger is pulled, different outcomes are shown – Michael seemingly gets hit, the bullet is retracted and Joan ends up shooting at a statue instead. It is only after Joan threatens Michael’s life that he shows any sort of emotional response. I believe that the video is a commentary on the decisions we make in life. We can only ever know one outcome, yet we tend to dwell on what could’ve been. If we regret the consequences of our actions, it’s easy to become obsessed with the past and retracing our steps. Furthermore how far are we willing to go to reignite the spark in our flailing affairs? What happens when your partner no longer cares to acknowledge your existence with the zeal and enthusiasm that won you over in the beginning? How far are you willing to go to get an emotional response and why is walking away so damn hard? You can peep the video below. Copyright © 2017 - Bad-Perm.com. All rights reserved.